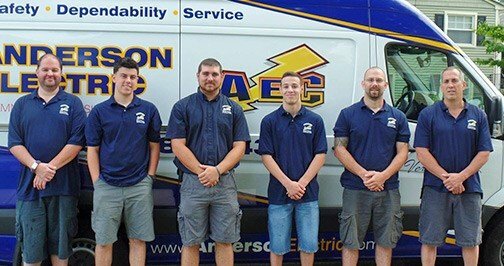 Commercial Electricians in Montclair, NJ | Anderson Electric Corp.
Commercial buildings have electrical systems far more vast and complex than their residential counterparts. They also have to deal with quite a bit more demand all year-round, which leads to more wear and tear on the system. If you manage a commercial building, you know how vital it is to keep the electrical system in good shape. It’s rather hard to conduct business when you literally cannot keep the lights on, after all. Don’t worry, though. If you’re looking for a top commercial electrical contractor, you’ve come to the right place. Anderson Electric Corp. offers a full range of commercial electrical services throughout Montclair, NJ, from generator installation to lighting maintenance to complete rewiring service. Call today to schedule an appointment with one of our licensed electricians. Have worked Andersen over the course of a decade plus including complete re-wiring of my house. After Sandy, turned to them for a full house generator. Commercial Lighting: Lighting is a bigger deal for commercial buildings than it is for residential ones. The sheer number of lighting fixtures required for many commercial buildings means you should find the best electrician you can to handle them for you. We offer comprehensive commercial lighting services, both indoor and outdoor, from new installation to lighting maintenance. Generators: We specialize in commercial generator installation and maintenance, and we are proud to be certified Generac dealers and service providers. Electrical Panels: The likelihood of a power surge damaging your various systems is not something that should be ignored. You already have an electrical panel installed in your building, but is it up to date? Does it need maintenance, inspections, or upgrades? We can make sure that they’re up to code and providing proper protection for your property. Smoke Detectors: Smoke and carbon monoxide detectors are a legal requirement in many areas. They’re just too beneficial to go without. If you need help installing or checking the smoke detectors in your building, let us handle it for you. Our expert electricians will make sure that your building has every chance at early detection in case of fire. We can provide the routine maintenance and inspections necessary to keep your electrical system running smoothly. Of course, sometimes problems will occur between maintenance appointments. In times like those, quick response is key. Call Anderson Electric Corp. right away, and we’ll examine the system for you. The faster we can get to the system, the more damage we can prevent. 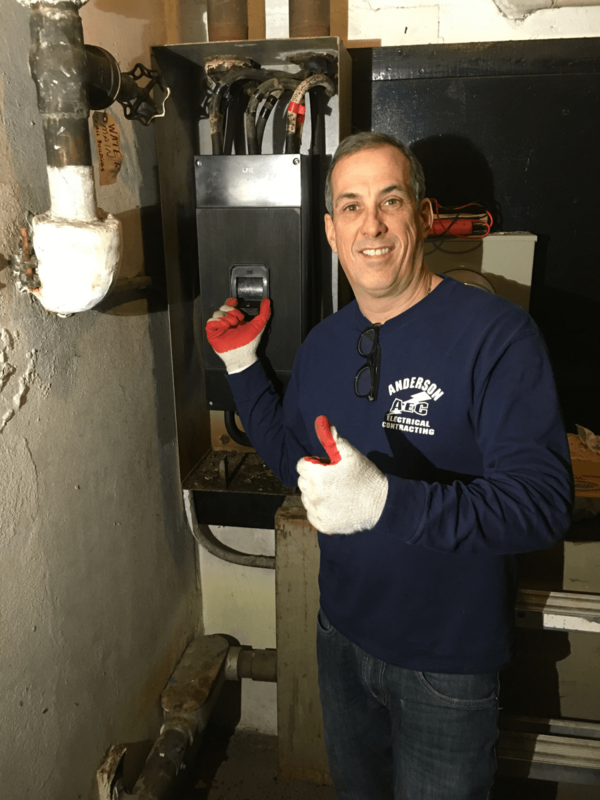 Our commercial electricians are licensed to provide service in Montclair, NJ, but that is only part of our qualifications. We have 20 years in business, and we continue to train our electricians to provide the best possible service. No matter what your commercial electrical needs are, from generators to lighting, we’re here for you. Call today to schedule an appointment with one of our licensed electricians. If you are making renovations to your commercial property, you will likely need a licensed electrician to help. And our technicians do it all. When you decide to do a complete remodel or renovation of your offices, we can set up the wiring so you have everything you need to run your business. Today, many offices are converting from traditional compartmentalized offices to large open workspaces, and we can ensure the electrical setup is perfect for your new office environment. We’ve helped many local properties make major changes, and we can make sure your renovations go smoothly as well. Call our commercial electricians for these services and more. Whether you’re looking for commercial lighting solutions or full renovations, call the electricians at Anderson Electric Corp.. Contact us today to schedule commercial electrical services in Montclair, NJ and the surrounding area.